Just finished the last page of Patricia Gibney’s “The missing ones” – and I’m missing the characters already. The novel features Garda Síochána detective inspector Lottie Parker and is set in the fictional town of Ragmullin in the Irish Midlands. Lottie is one of those wonderful ‘flawed’ protagonists. Still grieving for her late husband, Adam, Lottie throws herself into her work – often to the detriment of her home life with her three teenage children. In her early forties, Lottie has an addictive personality and she valiantly tries to stay away from booze and cigarettes. She doesn’t eat properly and she is always tired. Also, she is slightly OCD – she is constantly counting things. Lottie and her team are tasked with a murder investigation. The victim, Susan Sullivan, was a terminally ill woman in her fifties. Her body was found in the Catholic cathedral where she was strangled with her iPod cord. Shortly thereafter, they have another body. A co-worker of the dead woman is found hanging from a tree in his garden. It is discovered that not only do the two victims know one another, they both have nearly identical tattoos on their inner thighs AND they were both residents of St. Angela’s Catholic institution as children. Secrets abound in Ragmullin and we meet three unnamed men having an even more secretive meeting. They have something they want hidden and, it would seem, would do anything to hide their secret from the world. They don’t trust anyone, not even each other. Lottie and her team have very little to go on and become more and more frustrated as days pass. When a priest’s body in found under the snow in the same garden as the hanging victim, things become very confusing indeed. What could all these deaths have in common? With an antagonistic superior, and the press hounding them, Lottie and her team face seemingly insurmountable odds. Meanwhile Lottie is fretting about her children. Her eldest, Katie, has a new boyfriend and has been smoking weed. Her two younger children are often left to their own devices and she feels guilty and inadequate as a result. She also feels guilty about her growing emotional dependence on her coworker and sometimes lover, Detective Mark Boyd. While reading this novel, and learning about Lottie Parker, I pictured her as the actress Suranne Jones of “Scott & Bailey” fame. The themes running through this novel are corruption, desperation, and the lasting damage done to adult survivors of horrific child abuse. It is truly hard to believe that this is the author’s first novel. Many red herrings and plot twists pepper this eminently readable police procedural. With strong and sympathetic characterization, “The missing ones” marks a solid beginning of a series I plan to follow diligently. In fact, I already have the second novel in the series “The stolen girls” loaded on my Kindle. My sincere gratitude to Patricia Gibney and her publisher Bookouture for providing me with a digital copy of this novel via NetGalley. Read what the author has said about her character, Lottie Parker. “The missing ones” marks the 3rd title in my #20booksofsummer challenge. Patricia Gibney is a widow and the mother of three children. She lives in Mullingar, Ireland. She started writing, for therapy, when her husband Aidan died. She secured an agent in January 2016 and she joined The Irish Writers Centre. She loves reading crime thrillers. The second novel in the series, features Lottie Parker and a host of credible characters. They are all part of her extended family, you know the kind – people you love one minute and want to kill the next! Fiction reviewer ; Goodreads librarian. Retired library cataloger - more time to read! Loves books, gardening, and red wine. 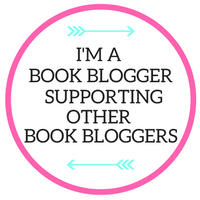 I have been a reviewer member of NetGalley since October 2013. 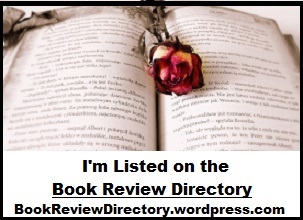 I review titles offered by Edelweiss, and participate in blog tours with TLC Book Tours. This entry was posted in 1st in series, Book Reviews, Bookouture, debut novels, Favorite books, Mystery fiction, NetGalley, Page turners and tagged characters, Ireland, mystery fiction, mystery series, police procedurals, recommended reading, thrillers. Bookmark the permalink. This was a good one, I really liked the relationship between the two detectives!!!! Me too Annie. Boyd obviously adores Lottie but she is fighting her feelings for him for fear she will betray her late husband’s memory. It is interesting that the author is also a widow with three children. Oh I didn’t know that! Great review. Glad to see that you enjoyed this one. I liked it too. I thought it was a bit long but the story was so addictive that I didn’t even notice the pages. Thanks for your comment Diana. It is so nice to hear from another Patricia Gibney fan. Yes Renee so do I. Another new author to follow… if only there were more than 24 hours in a day. Thanks for your kind comment. It was a great read. This one has a lot of good reviews. I will have to add it to my TBR. Yes Carla. Although it is not the first novel to discuss corruption in the Catholic Church it is so richly characterized that the book is special. Hope you get an opportunity to read it. Hi Lynne, terrific review. I totally agree with you regarding the quality of this debut novel. I have just started book #2, The Stolen Girls, this morning. Settling in for a great read! Thanks Christine. Glad to know we have like tastes. Books, Books, and more Books! 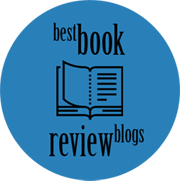 A group for book bloggers who review Edelweiss titles. Check out my latest Instagram/Bookstagrammer posts! #bookreview of #DistressSignals by @cathryanhoward now on Fictionophile.wordpress.com #bookbloggers #bookstagrammers #Thriller @blackstonepublishing @netgalley A STRONG debut novel by a talented author! Written with three parallel narratives, the author causes the reader to wonder how on earth they could be connected in any way. Then, she cleverly ties them together in a way that you didn’t see coming. What more could you ask of a debut thriller? Recommended for sure! Historical fiction with traces of fantasy, suspense and love story. An amalgam of genres with themes of innocence vs. depravity, altruism and perversion. Please check out my #bookreview on Fictionophile.wordpress.com #bookbloggers #BOOKSTAGRAMMERS #thebinding @williammorrowbooks @harpercollinsca #bridgetcollins Have YOU read "The Binding" yet? I review titles from Edelweiss! Open book in the hands of a mature man. Selective focus on the edge of book and page edges. All other in soft focus. 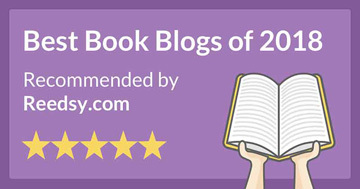 Share book reviews and ratings with Mysteries & Crime Thrillers, and even join a book club on Goodreads. ALL RIGHTS RESERVED No copyright infringement intended. All pictures, and other items, etc. belong to their rightful owners.